Suffice to say it is very hard not to despair at the Government's logic. Like so many of his colleagues the government minister responsible for wildlife protection at Defra is a multi-millionaire landowner with a 20,000-acre estate in Berkshire and a champion of the shooting lobby. How on earth anyone would think taxpayers are going to support a £375,000 trial on Buzzard control clearly has an extremely blinkered outlook on the real world. Do read the articles via the links, they are well worth it. Back to my personal birding experiences, after my recent trials and tribulations it has been a week of relative calm on the birding front but a storm on the work front. Since taking the decision to return to Racing Post on a freelance basis each month, my regular workload elsewhere has racked up a notch. Typically, work for me is either feast or famine – either too much or too little, and at the moment I have too much. While the extra cash is welcome, the downside means opportunities to go birding fly out of the window. Since seeing the Melodious Warbler in Leyton I have had just two trips out, on Thursday and Friday evening. On Thursday I went to Crooksbury Common, where I met up with Rich Horton, 'Duke' the dog and John Hunt to watch the Nightjars. We all turned up with the same idea as it was such a warm and still night. Crooksbury Common is one of the best sites for Nightjars in Surrey, probably the best because the Common is small and compact and therefore covers a much smaller area than both Chobham and Thursley Commons. It's easy to walk round and the Nightjars are more accessible to see. 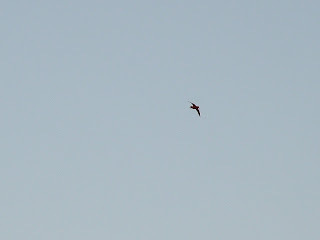 We heard at least four Nightjars (146) and saw a couple. With the entire summer ahead, a trip to Crooksbury in June will be high on the agenda for more Nightjar viewing. We also saw a couple of Woodcock (147) roding above the trees. 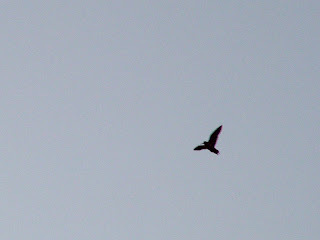 One flew right over our heads, whistling and squeaking as it went. Roding Woodcock was my target bird for my next trip out the following evening at Thundry Meadows. Prior to visiting Thundry I went to Thursley Common. On the walk round on a windy evening I saw a couple of Hobby, a Raven mobbed by a mass of Carrion Crows (I keep seeing Raven all over the place in Surrey at the moment), plenty of Woodlark, and the breeding pair of Curlew, a regular sight each year at Thursley, which I managed to get quite close to. Then off to Thundry Meadows, the best place for watching roding Woodcock I know. 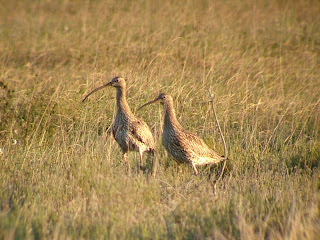 From 8.30pm until 9.15pm I saw ten Woodcock – although it may have been the same bird ten times, who knows. A pleasant couple of evenings and all went to plan – for a change. That was it until Sunday morning when just before going off to work at Racing Post I got a text from Ian Kehl. 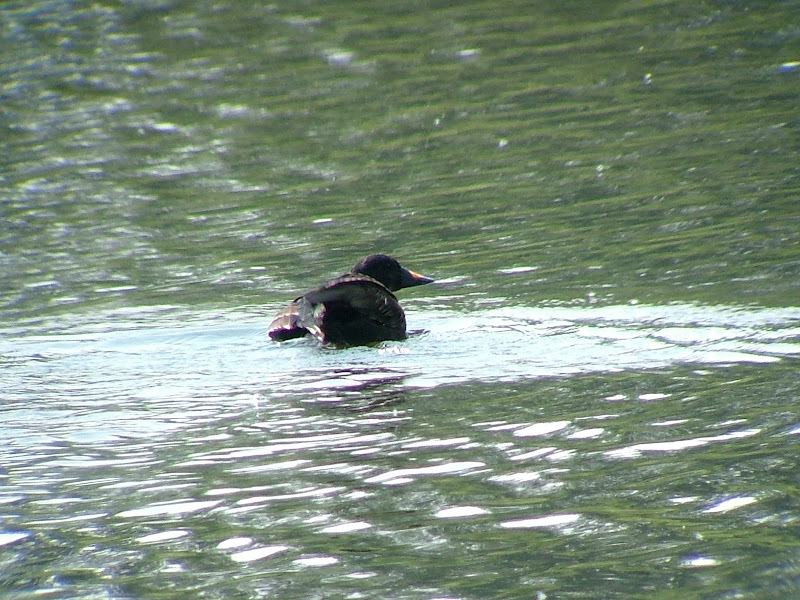 John Benham had located a male Common Scoter on Water Colour Lagoons. A brilliant find. Where this bird had come from, God only knows, but it was clear I had to get down there to see it before catching the train to London. I only had a ten-minute window at the most. Adding to my anxiety was another opportunity missed earlier that morning. 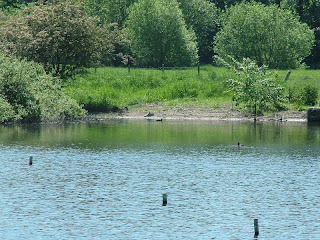 I had thought about getting up early and travelling to Weir Wood Reservoir in the hope of seeing an Osprey. 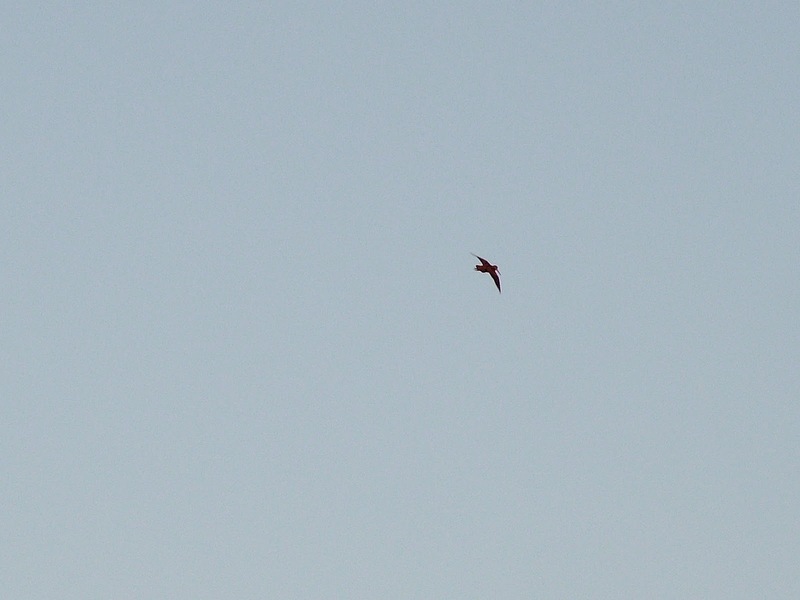 After a long day and night I stayed in bed instead, and therefore really did miss out on seeing an Osprey and... two Bee Eaters. A Bee Eater would be high on anyone's list, let alone mine, and two were seen, albeit briefly, perched up on a wire at the dam end of the reservoir at about 10am. I was somewhat reassured by the fact I would have been gone by then, having to leave at about 9.45am to get back home – and that would have been far worse than not going at all. 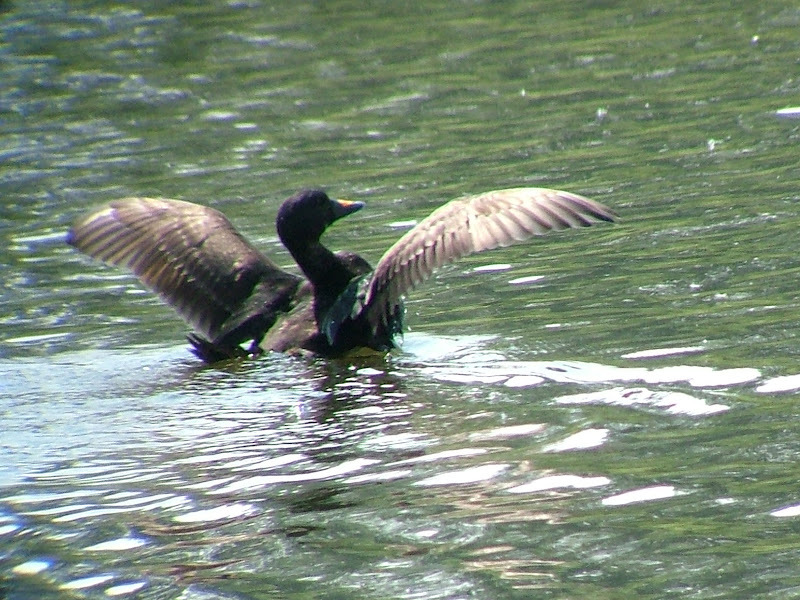 On a scorcher of a morning, I popped down to the Water Colour complex just behind local birder Tom Cahalane. Also present were the two Sell brothers, Paul and Keith. 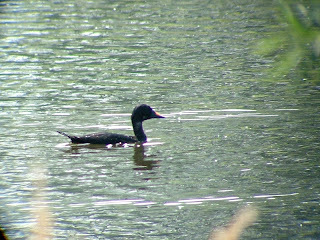 We couldn't see the Scoter anywhere, but luckily Tom, who is very observant, noticed water bubbles on the surface of the water at the back edge of Water Colour 1 and the Common Scoter (148) re-emerged from its dive underwater. Thank goodness for that. A spot of luck! I had missed out on seeing the pair of Common Scoters a few weeks back, and never imagined another one would turn up at this time of year. It just goes to prove how unpredictable birds can be. I went back to see it again yesterday morning after Graham James had rung to say it was still on the Lagoon. 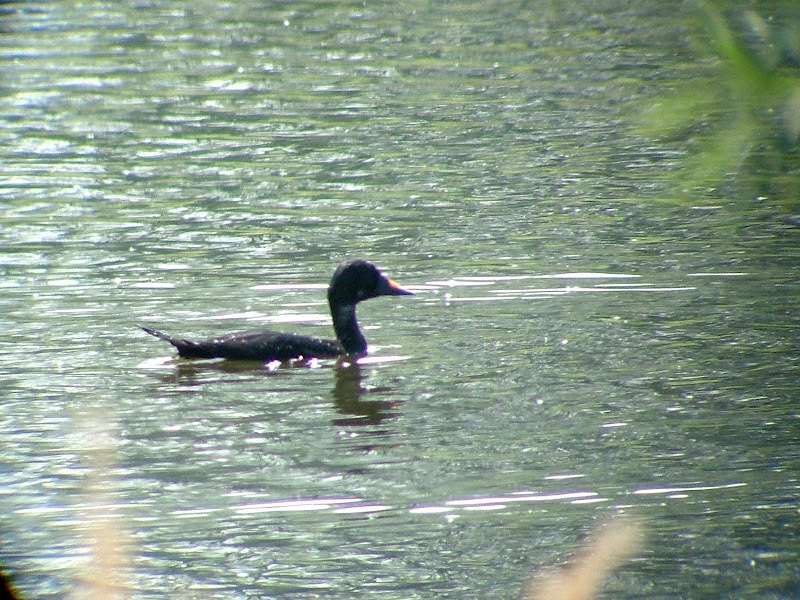 This time I got much better views, and watched as a Coot chase it away in mid dive. 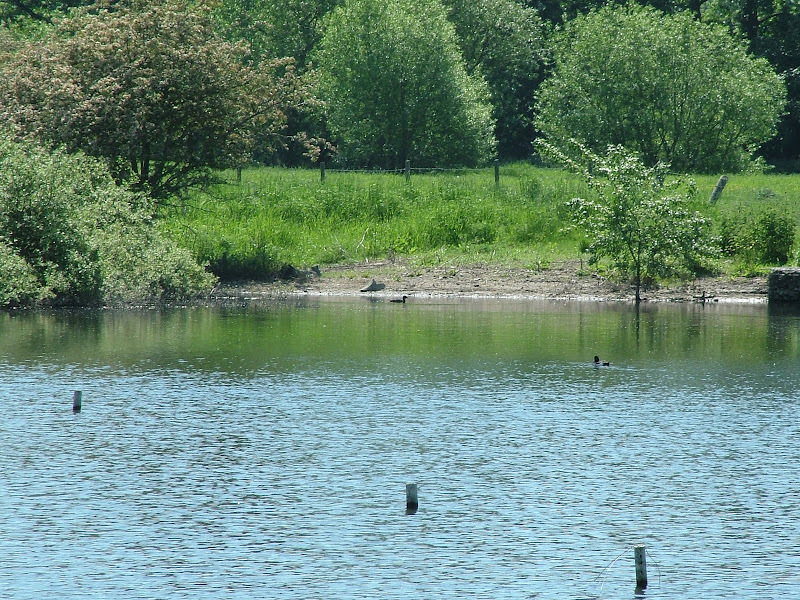 A top-notch bird in a suburban environment – just a few hundred yards away from a modern housing estate. For the rest of the week I'm working from home, so if something good turns up again I will hopefully be ready for it.